Washington, District of Columbia is located at Latitude 38.90505 and Longitude -77.016167. Washington is in the Eastern (GMT -05:00) time zone. Telephone area codes in Washington include 202/703. This hometown does use daylight savings time. Please see below for detailed population, demographic and housing data for Washington, DC. Washington, D.C. is the capital city of the United States of America. "D.C." stands for the "District of Columbia" which is the federal district containing the city of Washington. The city is named for George Washington, military leader of the American Revolution and the first President of the United States. 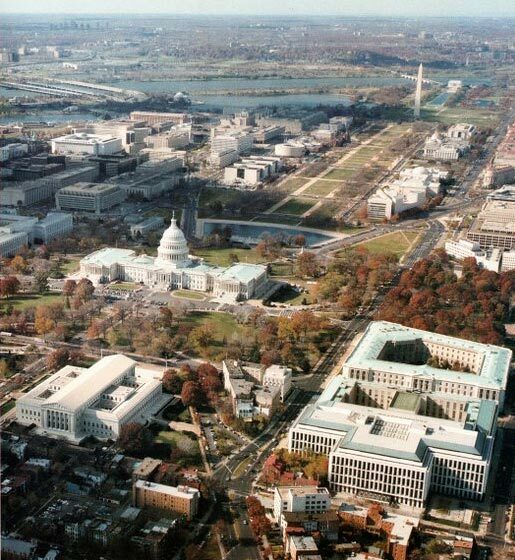 The District of Columbia and the city of Washington are coextensive and are governed by a single municipal government, so for most practical purposes they are considered to be the same entity. It is known locally as the District or simply D.C. Historically, it was called the Federal City. The District of Columbia, founded on July 16, 1790, is a federal district as specified by the United States Constitution with limited—and sometimes contentious—local rule. The District is ruled "in all cases whatsoever" by the U.S. Congress, while nevertheless going unrepresented in that body. 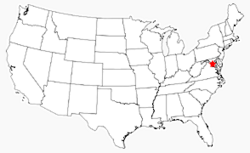 The land forming the original District came from the states of Virginia and Maryland. However, the area south of the Potomac River (39 mi² or about 100 km²) was returned, or "retroceded", to Virginia in 1847 and now is incorporated into Arlington County and the City of Alexandria. 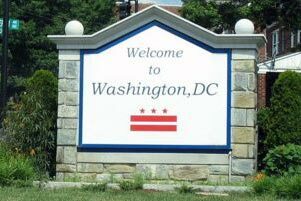 The term "District of Columbia" uses an old poetic name for the United States, Columbia, which has otherwise fallen out of common use since the early 20th century. The centers of all three branches of the U.S. federal government are in Washington, D.C., as well as the headquarters of most federal agencies. Washington also serves as the headquarters for the World Bank, the International Monetary Fund, and the Organization of American States, among other international (and national) institutions. All of this has made Washington the frequent focal point of massive political demonstrations and protests, particularly on the National Mall. Washington is also the site of numerous national landmarks, museums, and sports teams, and is a popular destination for tourists. The population of the District of Columbia, as of 2003 U.S. Census Bureau estimates, is 563,384. The Greater Washington, D.C. metropolitan area includes the District of Columbia and parts of Maryland, Virginia, and West Virginia, with a population surpassing 4.7 million. If Washington, D.C. were considered a state, it would rank last in area behind Rhode Island, 50th in population ahead of Wyoming, and 36th in Gross State Product, ahead of 15 states. Our online reservation system is a great resource for finding hotels, travel information, ideas of what to do while you are in town and more.